Don’t be fooled! If you are looking to hire an Atlanta mover, you can’t be too careful. 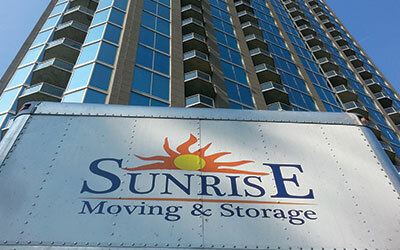 Be sure to hire licensed and insured reputable movers like Sunrise Moving & Storage. We are a family owned and operated Atlanta moving company since 1999. There are plenty out there with a truck who promise the world when getting you to hire them but you can run into a lot of headache and hassle and maybe even lose your stuff in the process if you don’t choose a Georgia licensed and insured mover. We are highly rated and strive to be as affordable as possible. We offer a comprehensive list of moving and storage services to serve the capital of Georgia. Whether you need a local residential move or an entire office relocation, or a cross-country commercial or household move, Sunrise has got it covered. We invite you to read our Atlanta Movers Reviews. We are a proud Prime Agent of Arpin Van Lines. Arpin is an industry leader with over 100 years of experience and a reputation for providing excellent service. The support and resource we gain with Arpin enables us to handle the most complicated long distance moves. So you get a local company with a national network. The best of both worlds for your long distance move! Sunrise Moving & Storage is also a Certified ProMover with the American Moving & Storage Association. ProMover is a consumer protection and certification program designed to fight impostors and scam artists in the moving industry. Go with the Atlanta mover you can trust-Sunrise Moving & Storage! Call today or fill out our Free Moving Quote to get started. We look forward to hearing from you!